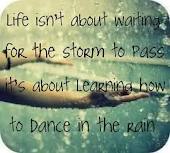 Learning How to Dance in the Rain ....: Obstacles in the swimathon!!!! So when you think you have been stretched as far as can be - you're wrong - there is more!!!! Each day has had its challenges - Monday Cardiac echo , Tuesday Radiotherapy preperation, Wednesday bloods and visa info, Thursday IV Herceptin and sad movie, Friday car accident. I kid you not we were in a car accident today. Thankfully no major damage to the persons involved but the side of my car is a different story. Both doors on the Left side need to be sorted plus a few other things on the left side. It all happened so quickly - I was turning into a shop from a two lane road and kaboomb!!!! We were shaken up and now a bit achey but thank goodness nothing more . I will need to leave my car in the garage for up to 2 weeks - great timing considering I start radiotherapy on Monday and need to go every day. We may be able to get a car to use in the interim so hopefully will all be sorted out!! The good news is that both parties involved are with the same insurance company so hopefully processing will be easier!! 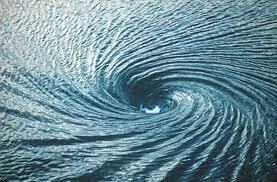 Just another whirlpool in my swimathon!!!!!! It is quite unbelievable what we have had to face over these many months - challenge after challenge - a real marathon - with a built in obstacle course!! I am quite apprehensive about even thinking what next as it is just never ending!!! Miss C is turning 10 this weekend - she is very excited about getting into double digits!! I am determined that this will not spoil her birthday! Her burn wound is healing well - and she is getting her ears pierced!! Actually just writing that induces concerned thoughts! When my eldest daughter had hers done - we had been recommended to go to a Drs clinic - well what a fiasco that turned out to be!! She was pretty nervous when we went to start with - the lady doing it didn't look terribly confident either!! Well we had a bit of a disaster as when she fired the earring from the gun into the ear - it went in but the gun didn't detach!! So there was Miss A with her ear pierced with an added attachment. She was as white as a sheet. The lady doing it tried to jiggle it off but it wasn't moving. I suggested I would hold it and perhaps she could get something to prise it off. She disappeared for a bit and then returned with the most enormous medical forceps that you could imagine!! Miss A's eyes grow wider and her face grew paler!! Thankfully we got it off - and then there was still one to go!! Well Miss A was ready to run out the door but we reassured her ( not quite sure what we were basing that on at the time) and the second one went in fine!! What a laugh - in retrospect of course!!! So now you see why I may be slightly wary - we are of course going to a completely different place for miss C!!! So there you have it - a week of challenge and tears!! They are still a coming - am hoping for some tears of joy this weekend. Wouldn't that be nice for a change!! I shall end with a few words from the ever optimistic Eeyore!! "Its snowing still " said Eeyore gloomily. "However " he said brightening up a little "we haven't had an earthquake lately!!" Well Deb's , Sorry about this extra drama on top of everything . 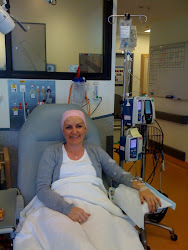 At least you are staying positive and no doubt this all will pass , glad mum is there to help .